Lying in the lee of northeasterly trade winds, the aptly-named Leeward Islands comprise over 30 glorious islands, the most famous of which are Anguilla, St. Maarten, Antigua, Barbuda, Guadeloupe and Nevis & St Kitts. The Leewards are snuggly nestled between the Virgin Islands (to the north) and the Windward Islands (to the south) joining the latter to create a ‘necklace of priceless island pearls’ that is known as the Lesser Antilles. Out of the two archipelagos, the Leewards is the most developed, cosmopolitan and luxurious - and consequently also the most visited – yet on a Leeward Islands Yacht Charters, getting away from the crowds and exploring a remote and uncrowded corner of Caribbean paradise is superbly easy. 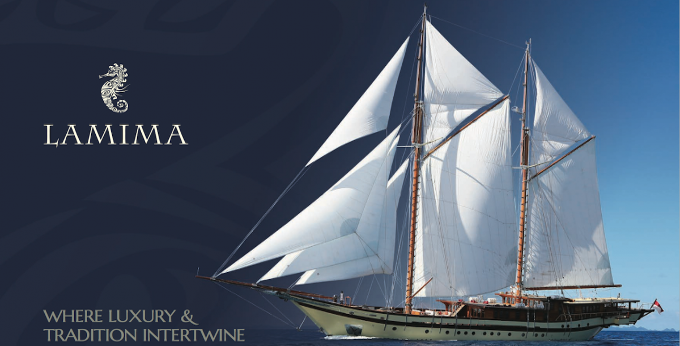 Having been colonized by various empires over the course of centuries, most notably French, Dutch and British, the Leeward Islands showcase a fascinating mix of cultural and historical treasures. 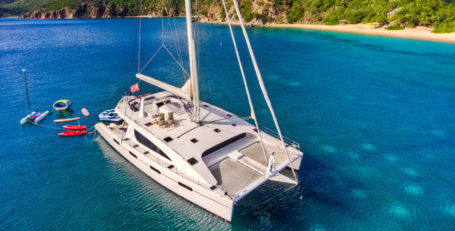 The most enticing aspect of Leeward Islands Yacht Charters, however, is the chance to snorkel and dive pristine coral reefs, relax on endless stretches of stunning beaches and soak up the idyllic climate of the Caribbean. Sure, there may be plenty of designer spas, golf courses, high-end restaurants and luxury resorts in the Leewards but this is still very much a natural paradise: unblemished, enticing and utterly unforgettable. 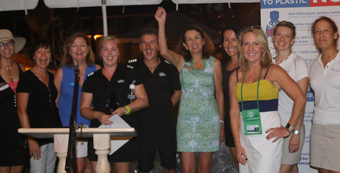 Anguilla may be one of the lesser developed islands in the archipelago yet the few indulgences it offers are squarely aimed at the Leeward Islands Yacht Charter scene. This stunning coral-brimming islet is a natural splendor of over 30 glorious beaches, turquoise bays and a multitude of snorkeling and diving options. On land, you can hike, horseback ride and also indulge in the finer things in life. Hit a hole-in-one at Anguilla’s designer golf course, indulge in treatments at luxury spas and even treat your taste buds on haute-cuisine dining in one of the island’s few extravagant resorts. An island with a dual-identity, St Maarten (or St Martin) has been jointly administered by the French and the Dutch for over three centuries and has developed a split-personality syndrome of sorts. The whole island is well-developed and offers a wealth of luxurious indulgences, although the Dutch side holds the upper card as far as sheer number of options is concerned. You’ll find more restaurants on the Dutch side, for example, yet arguably better culinary delights on the French side. We’re not trying to start a diplomatic row here: we just say it as we savor it! 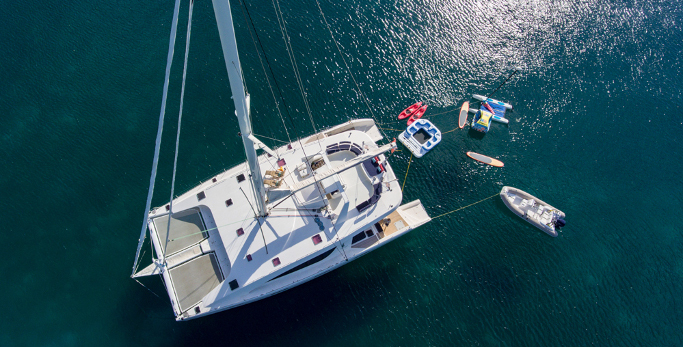 A fabulous nightlife, excellent shopping and gambling attract plenty of guests on Leeward Islands Yacht Charters, as do the beautiful open-air markets, historic quarters and a cache of perfectly remote anchorage points. In St Maarten (or St Martin!) you can be in the heart of the action or as far removed as you wish – the island offers a little of everything that makes the Leewards such a rewarding yacht charter destination. A fabulous mecca for fabulous people for decades on end, St Barths is the Cannes of the Leewards: the most famous and flamboyant destination of all. 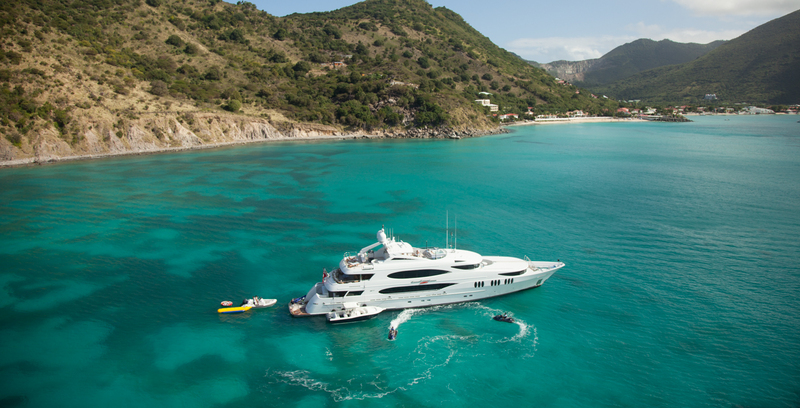 With its captivating mix of French and Creole culture, plenty of beaches and luxurious offerings, St Barths is the unrivalled ‘must visit’ spot for all our Leewards Islands Yacht Charter Guests. And who can blame them? An eclectic laidback vibe, world-class dining, chic shopping, oodles of arts and the kind of exotic natural beauty that’s straight out of a fable-book, St Barths is certainly the place to be seen but also the place that must be seen. Most famous for being home to ‘a beach for every single day of the year’, Antigua is the largest of the Caribbean’s English-speaking islands and fabulously kitted for all your Leeward Islands Yacht Charter needs. Brilliantly located for itineraries either taking in the northern route to the Virgin Islands, or southern one to the Windwards, Antigua offers plenty of highlights of its own accord so make sure you spend some time here before sailing on. The island’s UNESCO-listed dockyard is considered the best-preserved legacy of British colonial rule in the region and is now the most unmissable site of all, with plenty of fine dining, shopping and historical sightseeing. 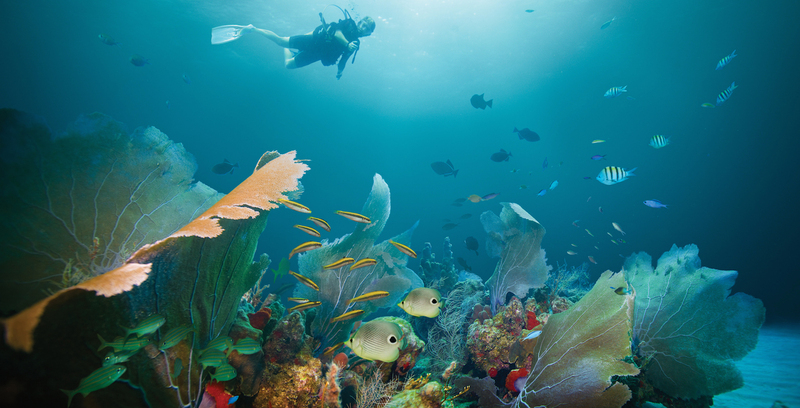 Gorgeous resorts offer plenty of indulgences and Antigua’s underwater world, bursting with wrecks, sharks, colorful fish and an abundance of coral. Politically linked to Antigua but a universe away from its modern development, Barbuda is the wild child of the Leewards, where luxury resorts have been shunned in favor of unspoiled flora and fauna. Barbuda’s distinct lack of development continues to be the prime enticement for Leeward Islands Yacht Charter guests, especially when you consider that you can have everything you want just next door, in Antigua. So here you’ll come for the startling nature instead, for the coral-enriched coast that stretches for more than 70 miles, for the countless hidden coves and for the copious chances for world-class snorkeling and diving. Essentially two volcanic islands separated by a narrow strait, Guadeloupe is, above all else, immensely picturesque. Comprised for the greater part by luscious forests home to spice, coffee and vanilla plantations, Guadeloupe is as much about its marine-life-teeming waters as it is about hiking in mountainous forests so the island suits those looking for some active days on their Leeward Islands Yacht Charters. The eastern Terre Island is home to quaint coastal villages and a flurry of sublime beaches whilst the western island, Basse Terre, is where you can hike to your heart’s content. 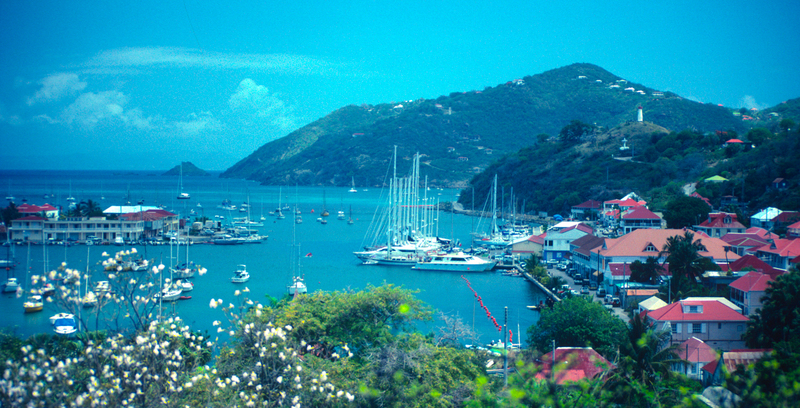 Just south is where you’ll find Les Saintes, inarguably the highlight of Guadeloupe. This tiny archipelago of impossibly perfect Caribbean gems has been left essentially cut off from the rest of the world for centuries and boasts a very unique character. 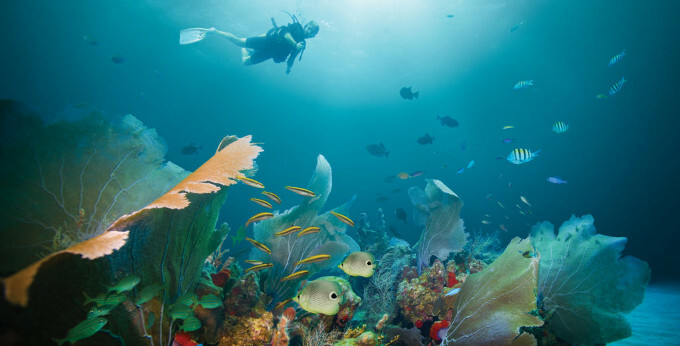 The waters here are crystalline and not too deep, offering the best snorkeling and diving of all. Tackle the short but steep trail up to the Napoleonic Fort and soak up the breathtaking views across Le Saintes’ most famous bay. With its rich British naval history and a colonial fortress that’s often described as the most impressive in the Caribbean, St Kitts and Nevis remain an off-the-beaten-path destination despite their illustrious enticements. 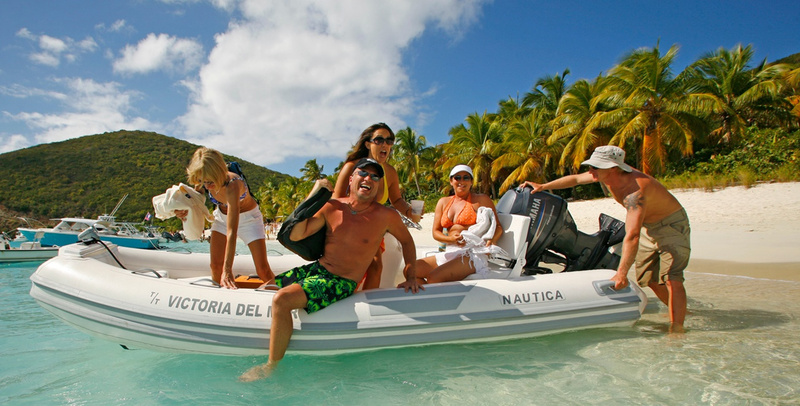 All the more reason to visit on Leeward Islands Yacht Charters. The islands are separated by merely two miles of deep blue seas and although they do boast a similar history they differ in flair and attractions. Nevis is the famed tax-haven that attracts businesses from all over the world yet St Kitts is the one ear-marked for eco-tourism in the future and is where all the on-land wilderness action is to be found. You may not want to come to Nevis and St Kitts for the designer shopping, granted, but if you want to see a totally different side of the Leewards, one that’s drenched in captivating history and one that still exudes incomparable authenticity, then best you firmly place these two gems on your Leeward islands Yacht Charter itinerary.